Moving right along in our series, “The Science Behind…”, where we break down the process of baking into the component steps and explain why it’s important and what it contributes to the overall success of the bread. 3. When should I knead my bread? 5. How long do I need to knead? 6. 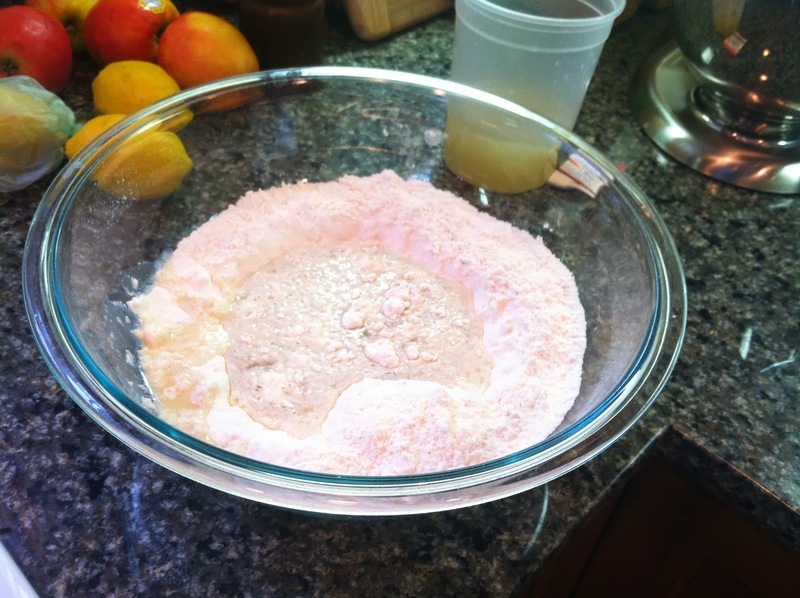 When I’m kneading, should I coat my hands and work surface in flour, water, or oil? 7. Can I skip the kneading process entirely? 8. When can I skip it? 9. What is stretch and fold? Before I get into the what and why of kneading, here is a bit of background about bread. 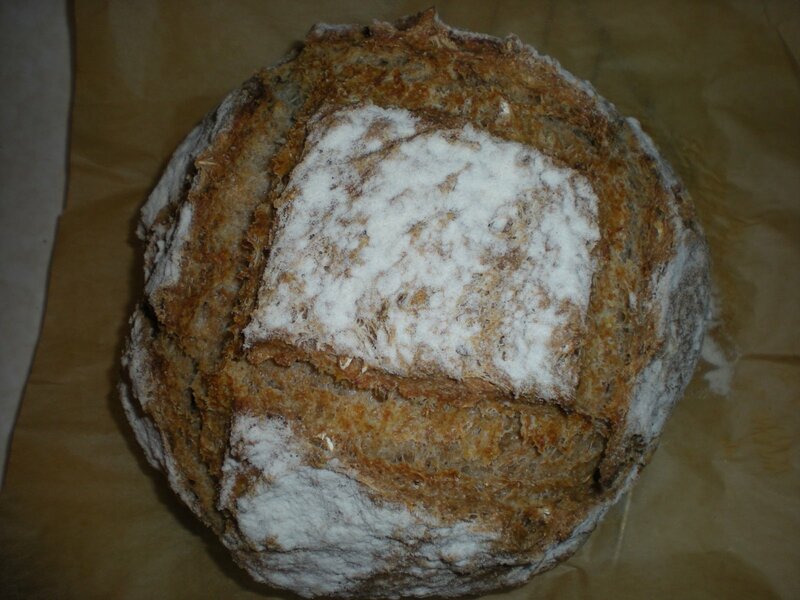 All wheat bread relies on the relationship of three ingredients: flour, water, and yeast. More specifically, 1) the relationship between the gluten net created by the flour and the water, and 2) the production of carbon dioxide as the yeast eats the sugars in the flour. A successful bread is one in which the gluten net successfully traps the carbon dioxide. These two processes must work in tandem. Gluten has gotten a bad rap in the news and in our culture, but most people don’t know what it is. Gluten is the long protein strands created when two proteins present in flour, glutenin and gliadin, relax and expand when exposed to water. Gluten is essential to a successful rise and big holes in your bread, which is why most gluten free bread is dense- the flour does not form gluten strands. Innovations have been made to GF flour that provide structure in other ways, but it will never have that chewiness that gluten provides. The gluten strands create a net all around your dough which traps the carbon dioxide released by the yeast, creating pockets of air that result in your bread rising. 1. So, what is kneading? 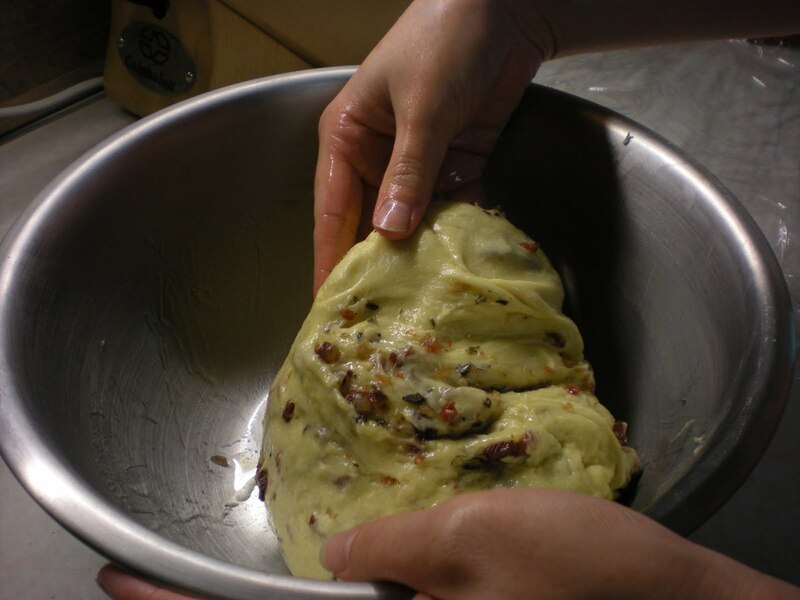 It’s the act of working your dough with your hands or a stand mixer to promote the development of gluten. 2. What does kneading do? By gently working or massaging your dough, you create a stronger gluten net, and thus more structure and greater rise, as the net is able to trap more carbon dioxide. 3. When should I knead? There are two situations where you definitely want to knead your bread (I’ll discuss when you might be able to skip the kneading process below, in section #7). 1) If you really want that gluten formation either because you are using low-protein flour or want extra gluten formation for a chewy texture, or 2) if you need the gluten net to form quickly because you are adding a lot of yeast to your dough. Different breads and different flours require different levels of gluten formation. For example, you don’t want a banana bread to have a lot of gluten formation, because that would make it too chewy rather than soft. 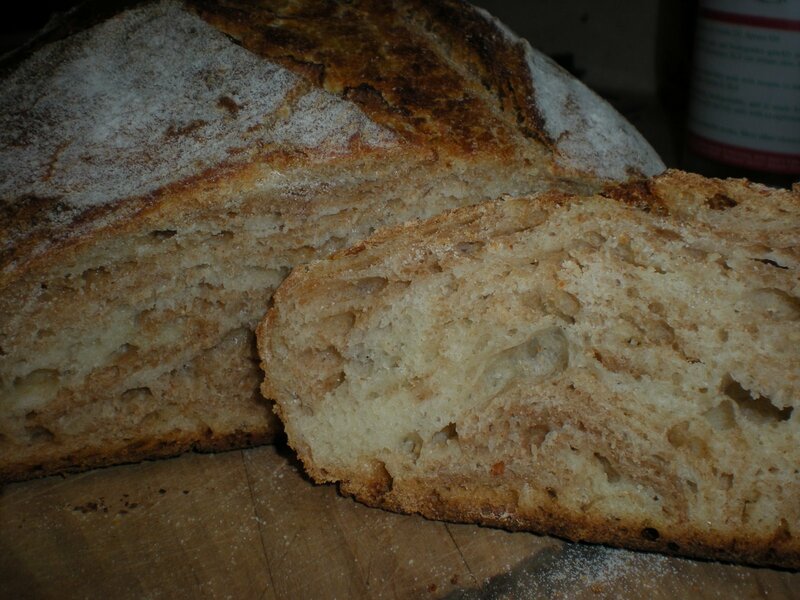 You do want french bread or pizza to be chewy and have structure, so you would want the maximum gluten development through kneading and use a high-protein flour. You want to knead your whole wheat dough as well, because whole wheat flour is low in protein so it needs some extra help. The more yeast you use, the faster they will eat the sugars in your flour and release carbon dioxide gas. If you add lots of yeast, you want your gluten net to form right away. 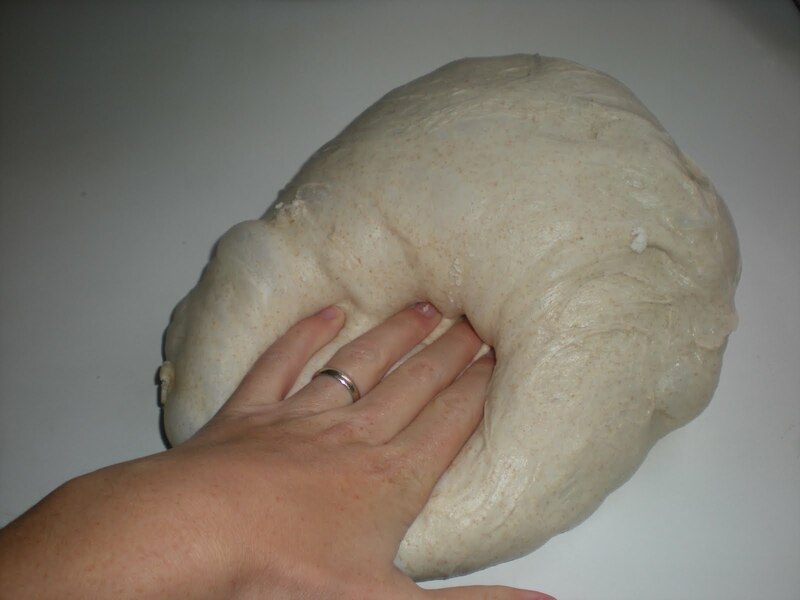 By kneading your dough, you give your dough a head start in forming gluten strands. In both of these videos, the hosts knead their bread on the counter. But you don’t have to! I’ll share my method a little later in the post. 5. How long do you have to do it? Let’s get one thing clear: it is nearly impossible to over-knead your dough if you do it by hand. There is also no down-side to kneading, if that’s your thing. However, with two kids, time is precious to me. In my bread baking, there is no room for extraneous steps. I just don’t have the time to expend the effort on hand-kneading my dough (which is why I never knead my dough unless I absolutely have to!) If I have to knead my dough, I outsource the job. First, I let time do some of the work. 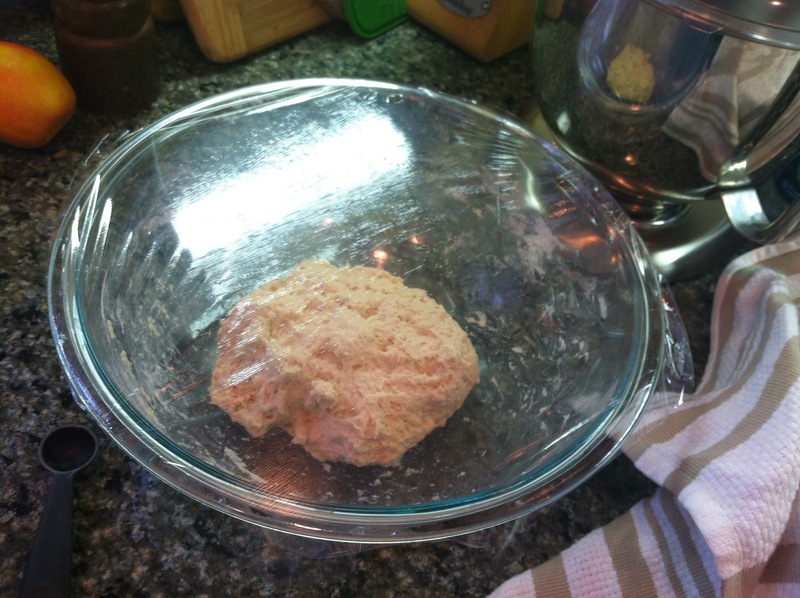 After mixing my ingredients, I cover the bowl and let the dough relax for about 10 minutes. 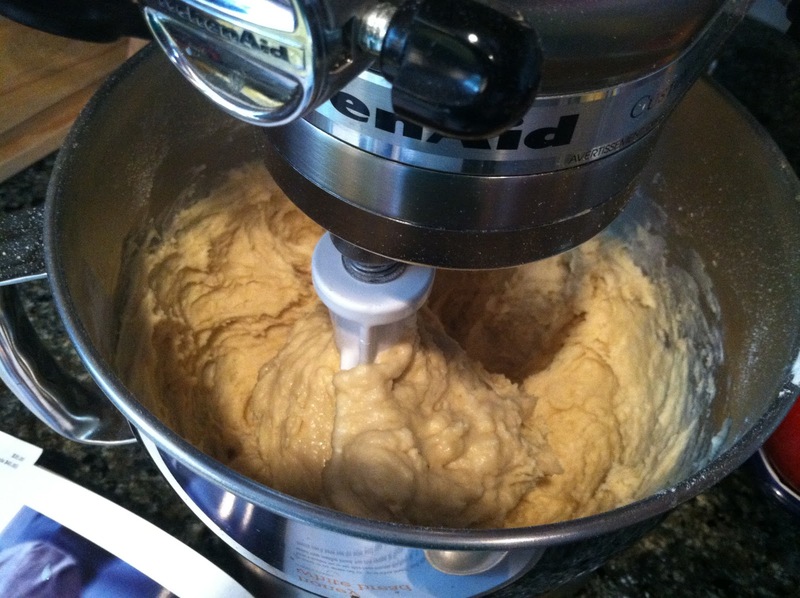 Then, I use a dough hook on my stand mixer and let it go for about 10 minutes on low or medium speed. If the dough seems sticky, I’ll coat the dough hook with oil. That’s it. Watch the gluten form as the dough hook does its thing. 6. 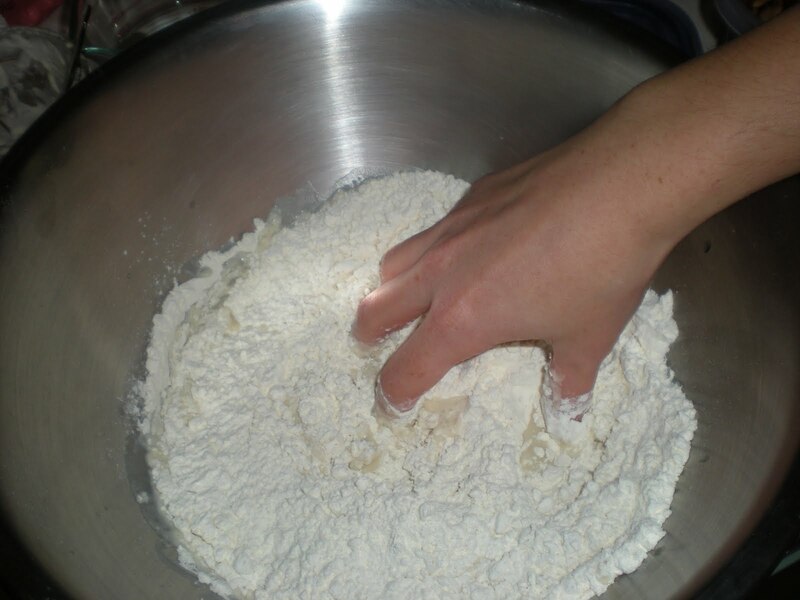 When I’m kneading, should I coat my hands in flour, oil or water? If you’re going to knead by hand, I would say either dry hands or water. Keep a bowl of water nearby and keep putting your fingers in to keep them wet. People tend to over-flour their cutting board and the dough just absorbs all that flour and becomes dry. 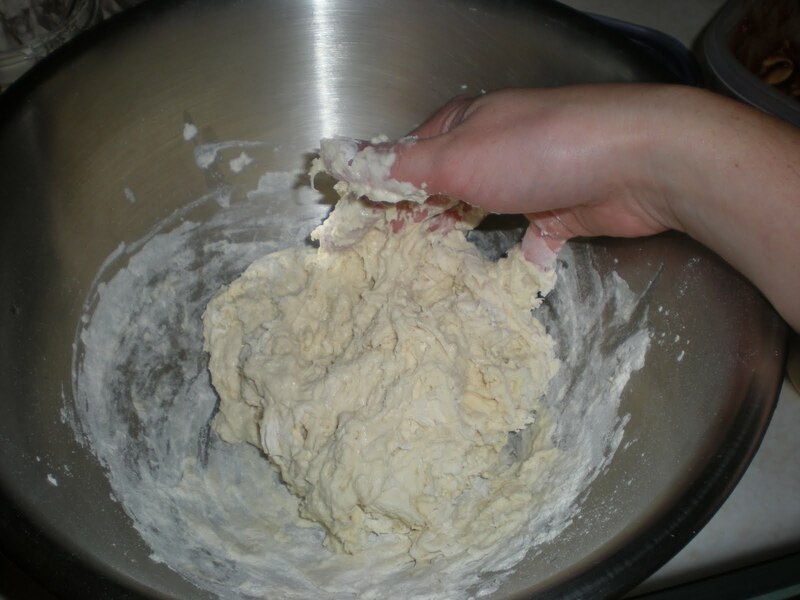 By using dry hands or water, your hands won’t stick to the dough and you won’t mess up the hydration level of your dough. It’s ok for dough to be sticky. 7. Can I skip the kneading process entirely? YES! This is my secret bread ninja tactic. When no-knead bread catapulted onto the scene in 2006 with this article, I knew my baking would never be the same. By cutting out the kneading step and letting time do the work, bread baking is more convenient and easier than ever. I can mix up the ingredients on one day, let the dough sit for 12-24 hours, and bake the next day when I have time. So easy. What happens when you don’t knead your bread and you leave it to rise for 12 hours? An amazing thing occurs- the gluten forms NATURALLY. That’s right – given enough time, the gliadin and glutenin react with the water to form long gluten strands by themselves, no man-handling required. 8. When can I skip it? Basically, any bread can become a no-knead bread. The only necessary adjustment is cutting the amount of yeast you add, to about 1/2 to 1 teaspoon of yeast. You also might not want to leave a dough enriched with milk and eggs on the counter unrefrigerated for that long. Stretching and folding your dough, more commonly known as the “stretch and fold,” is the way bakers gently encourage the development of gluten without kneading the dough. It takes a deft hand, but only a few seconds of your time, to perform the stretch and fold. Then, as far as your dough goes, it’s “set it and forget it” for as long as you need. So what does the stretch and fold look like? 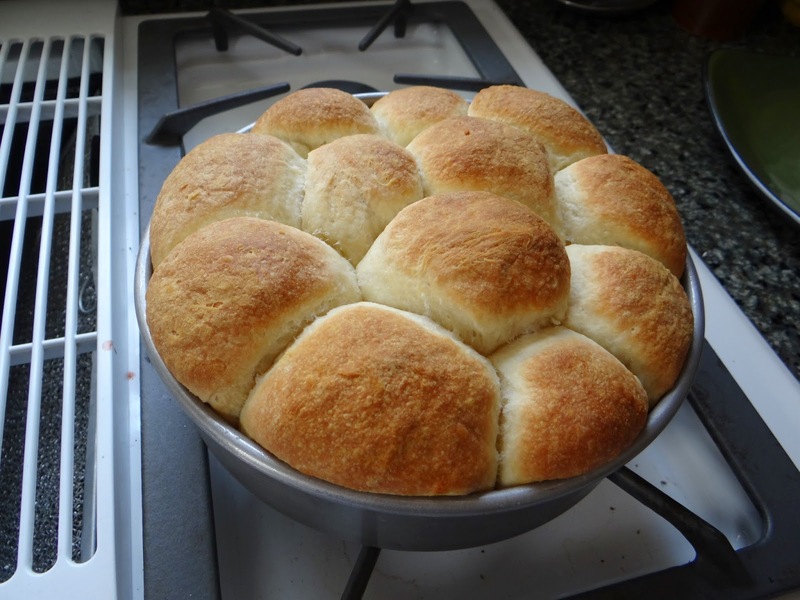 What you’ll notice is that both videos I posted above require you to knead the dough on your countertop. This gives you a messy, flour-y counter that you then have to clean up. 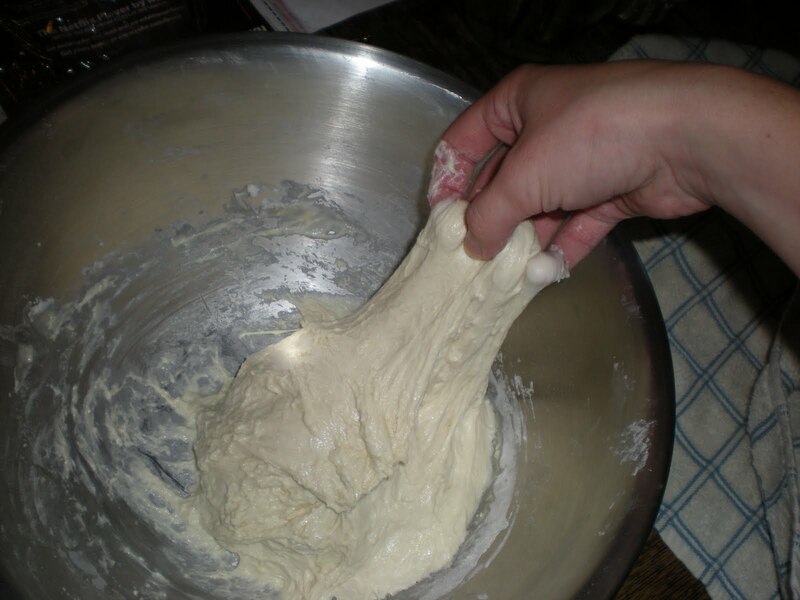 Instead, I stretch and fold the dough IN THE SAME BOWL I MIXED THE INGREDIENTS IN. Clever, right? 1. I don’t knead my dough unless I have to. 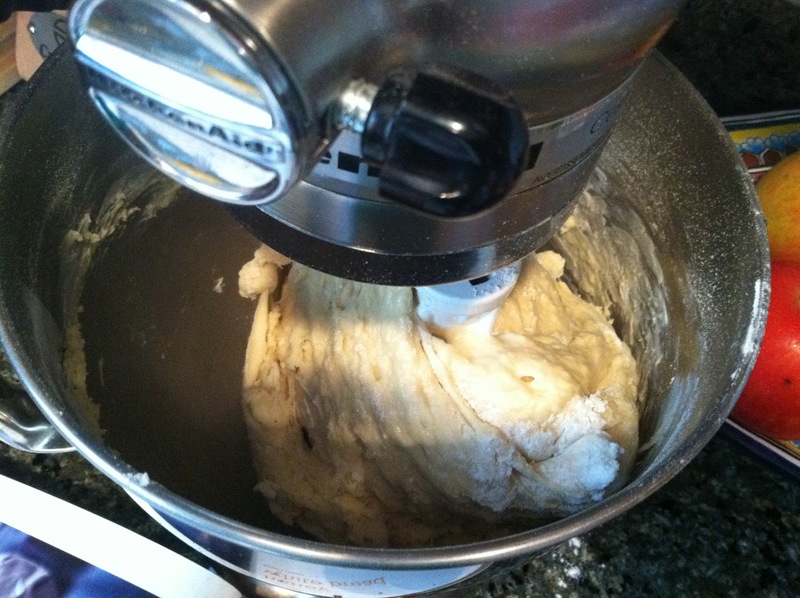 If I have to, I let the dough rest for five to ten minutes after mixing the ingredients together, then I use a stand mixer and a dough hook for 10 minutes or so. 2. For most of my breads, I let time do the work for me in developing the gluten. I cut down the amount of yeast to about 1 teaspoon so that the yeast isn’t going crazy before the gluten net has a chance to develop. 3. Once the ingredients have been mixed together, I let the dough sit for five to ten minutes. Then I use clean or wet hands to perform a series of folds IN THE BOWL until the surface of the dough feels taut and smooth. Here are some pictures of the process, using my favorite dough as an example. It’s the simplest dough ever: my 2-3 (or 1-2-3, if you’re using sourdough starter) dough, which is 2 parts water to 3 parts flour by weight (hence, 2-3 bread). Doing some simple math, you can see that 2 parts water to 3 parts flour = 2/3 = 66% hydration. It also requires yeast and salt to round things out. You can check out my recipe for 2-3 bread here. Mix the ingredients together like so. Fingers are always better than a tool. Cover the dough with plastic wrap or a food-grade showercap and let rise for 12-24 hours. If your dough is very wet (hydration 80% or higher), you may want to do a second or third series of stretch and folds to make sure the gluten is developing correctly and to redistribute the small amount of yeast throughout the dough. 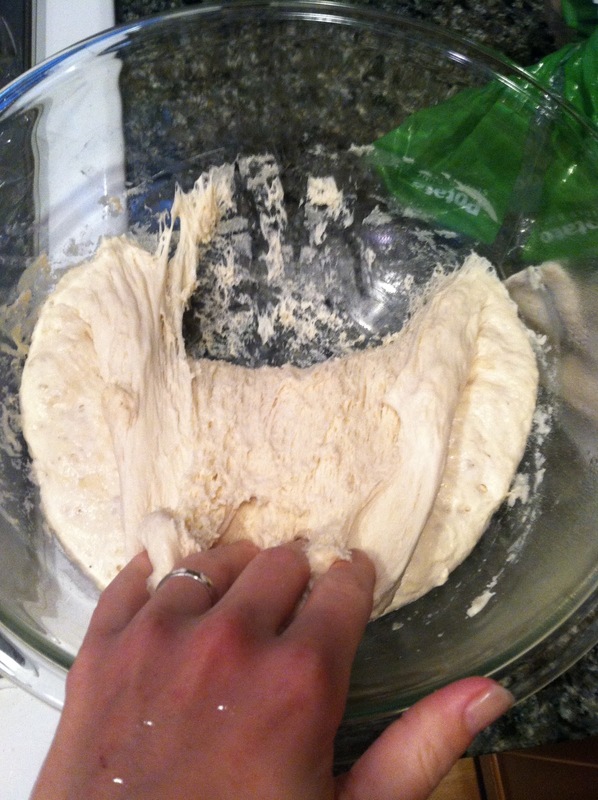 After the dough has risen, you will want to shape it for its second rise. But that’s another post. Thanks for reading! If there’s anything you think I’ve forgotten, please let me know in the comments.